In 1928 a high school was built in Waynesburg. 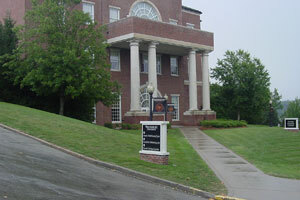 Originally called Margaret Bell Miller High School, the name was eventually changed to Waynesburg High School. In 1969 upon completion of the current High School, Margaret Bell Miller became an elementary and middle school. In 1979 extensive renovations and an addition were completed and Margaret Bell Miller Middle School was officially dedicated. Today the Middle school is for students grades 6th, 7th and 8th. The faculty consists of 45 teachers and has approximately 75 staff members. 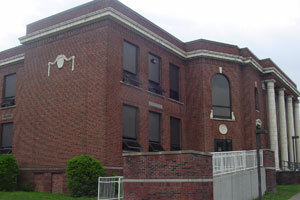 The Eva K. Bowlby Public Library on North West Street is a modern library in a beautiful old home. 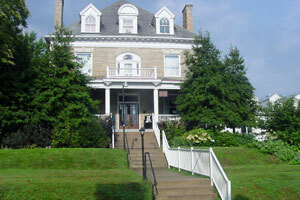 It has a large adult and children's collection, records, microfilm and a major genealogical collection. The library also has an audiovisual division. It provides free audiovisual equipment and materials to all library patrons. The Cornerstone Genealogical Society also maintains an office at the library to help trace family histories.